Planning a packing list for travel to conservative countries can be a challenge for even the most seasoned traveler. How to choose modest dress that is respectful, comfortable, and flattering? 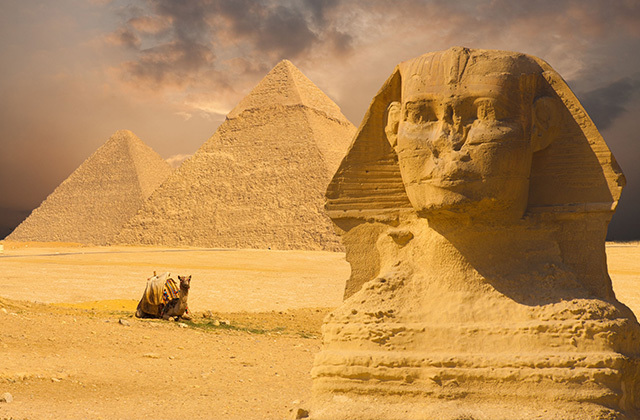 Read these 15 expat tips to help you plan your Egypt Packing List! In 2013 I spent a month in Egypt including 3 weeks in Dahab. While I had previously been to Egypt on a G Adventures tour in 2008, this time around I had the opportunity to get to know both locals and expats. I met 4 students studying at the International Languages Institute in Cairo and was eager to gain insight on their experiences living in Egypt. I interviewed them and Eva (Netherlands), Derek (USA), Suzi (UK), and Olivia (UK) help shed some light on what to wear to help you plan your Egypt Packing List. Instead of wearing “travel” shoes try to wear normal shoes so they don’t think you’re a tourist and stand out. Walk with confidence and hold your own. In expat neighborhoods or wealthier areas it’s ok to have your shoulders uncovered. If you are in less touristy “more local” neighborhoods, cover up as much as possible. For traveling to mosques, plan to be fully covered. They’ll probably have a cover up you can use but it’s better to be prepared. Try to find clothing you won’t be too hot in. Loose straight leg jeans are more comfortable than skinny fit. Check out these tips on choosing the right fabrics for travel. You have to realize, you’re generally going to draw attention because of the color of your skin (if you’re fairer) regardless of how you’re covered up. With fairer skin, you’ll get stared at and if you have darker skin, try covering up more as you’ll be considered a Muslim girl that’s not dressing respectfully. You don’t need wear a hijab; just dress normally, but respectfully. If are traveling to the Red Sea resort and beach areas, clothing is more relaxed and it is acceptable for tourists to wear shorts and tank tops but it’s always a good idea to pack a few more clothing items as well in case you decide to travel inland on one of the many day trips available. The above image of my maxi dress and scarf is taken in Dahab, a beachside town. While I am showing my shoulders, I have balanced this by covering my legs and my collar bone. If I were traveling inland, I would wear the same skirt/dress but throw the scarf around my shoulders and collar bone. When traveling the rest of Egypt that is not on the Red Sea, we suggest you follow the previous guidelines. For more tips, please read: What to Wear for Red Sea Holidays. Shout really loud even if it’s in your own language, Egyptians are helpful and will want to help you. You have to make it clear that you’re being harassed: sound angry, make a lot of noise. As soon as people hear noise, they’ll want to know what’s going on. SCREAM AT THE TOP OF YOUR LUNGS if you ever feel in danger. “Haram” is a word that means “forbidden” so if you shout this people will know what this is. PLEASE NOTE: these tips are for extreme circumstances and generally people in are kind. Don’t be put off to travel Egypt by these safety tips. They are just words of advice from female expats that are currently living in and loving the country. What are your best Egypt packing list tips? Hope you found these Egypt Packing List tips helpful! Please share them with your friends on Facebook, Twitter, or Pinterest. Thanks for reading! I’m going to Cairo/Nile/Jordan on a river cruise with my husband in Dec 2018, so I’m very interested in all the tips and packing lists for Egypt so I’m appropriately dressed! I always like to take a long scarf with me because I can use it in so many ways! Nice list! Totally agree! They are great for everything! Luxor is probably okay. I hear the deals are great because they are hurting for tourist business. I just got back from spending a little over a year in Qatar, a Sharia-law country. I had everything down except the collarbone/cleavage. What to me was a normal neckline was apparently plunging for them. Didn’t make that mistake again (I walked to work). If I go back, I’ll definitely go by the collar bone for my low-tide mark! Yes that was very surprising for me too. Hope these tips help other become well informed before they go! I have a story your readers might like. I packed according to your capsule a wardrobe for three months in Ecuador. Several weeks into the journey, my husband and I had 40 pounds of clothing stolen from a laundry mat. It represented about three quarters of our clothing. We are seniors and it was a challenge. But we did it with humour and used our resourcefulness and now it is one of our favourite stories. Would you like to hear it? I wonder if its safe enough to go to Egypt right now. I always wanted to go! Have you been in touch with any of your fexpat friends over there? haven’t kept in touch unfortunately…it seems like it’s never the greatest time to go. What does your government say in the travel warnings?